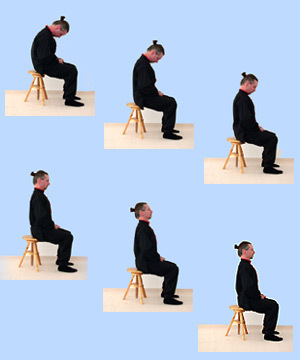 We are finding new and old ways for posture health and body-mind harmony. Discovering the healing powers of the pulse beat, which enhances our well being and recharges our vital life energy. Forestsuniversity.com offers many different ways to support your fullest potential to be realised through our seminars, events, individual sessions and self help processes. where the children would come to learn all about nature and her many and vast mysteries. The teachers in the Forestsuniversity are the Grandparents and their job is to guide the children for their first 25 years of life. Guiding them would also include their becoming simply aware of the sunrise in their posture. Hence translated into present day terms my approach is to resurrect the ancient practice of the Grandparents taking responsibility for the beginning of life of the children. The posture once given a chance to develop naturally will provide meditative states of awareness which are natural to a healthy spine. The Grandparents function therefore as a natural guiding force, one which comes to flower as the children practice living and sharing out of their own sunrise experience. Soon the children will be the grown ups and now we can put them on firm ground rooted, as solid as the trees, we just need to start!" without whom we would have no one to inherit this beautiful planet. Our focus here is through allowing the posture to have a sunrise quality within it we then become infectious. Inspiring others to creatively look after the children's posture we accept the role of being a happy medium to demonstrate a meditative posture which will also support the children's unique flowering. "We must therefore change our habit of slumping and adopt the posture which is royal, taking responsibility for oneself joyfully. Wonderful results await all those who enlist sitting with awareness. To learn clear sunrise sitting from a young age will ensure a creative approach towards one's own future, setting the posture in concrete stability.